Bring a large pot of salted water to a rolling boil over high heat. Meanwhile, coarsely chop the olives and place them in a large heatproof bowl. Add the garlic, lemon juice, and extra virgin olive oil to the olives and stir to mix. Cook the orzo in the boiling water until al dente, as per the instructions on the packaging. Drain the pasta well and immediately add it to the large heatproof bowl. Toss gently until well combined. 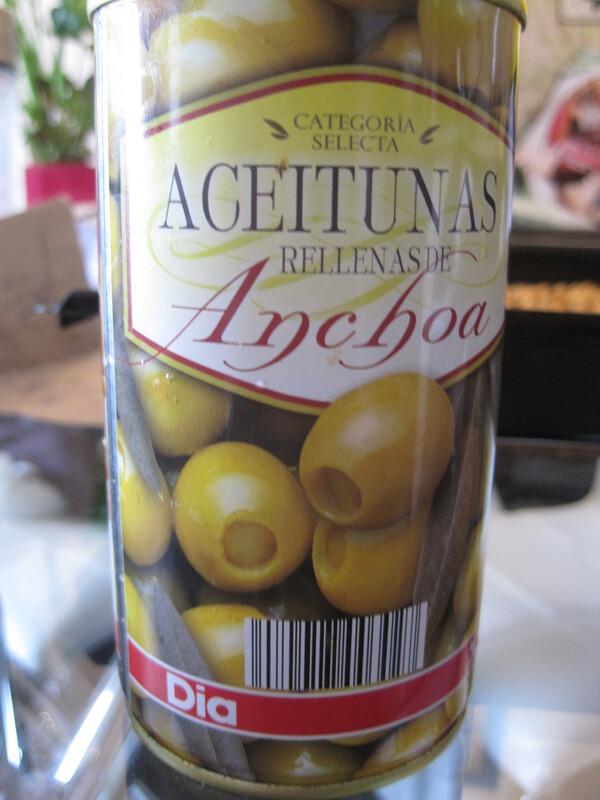 Add the brine from the jar of olives to taste, one tablespoon at a time, mixing the pasta well in between additions. Add salt and pepper to taste, keeping in mind that the feta cheese will add saltiness to the salad. 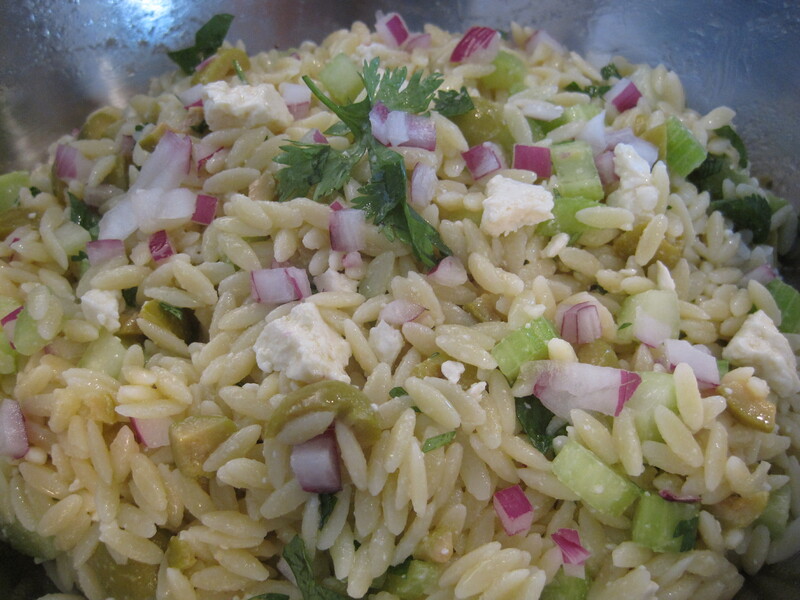 Then toss in the celery, red onions, feta, parsley, and spinach (if using). Refrigerate over night and serve cold or at room temperature.